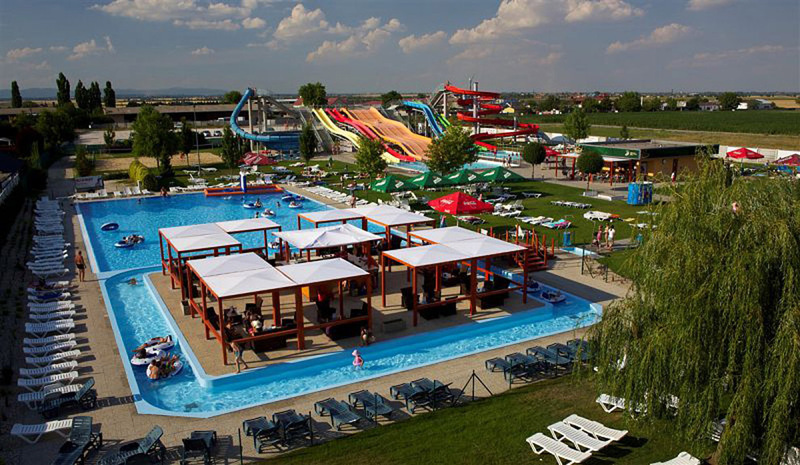 Aquapark Senec – a coliseum of unbridled fun for all age and for swimmers and non-swimmers alike as well as those who love the sun and the cold! 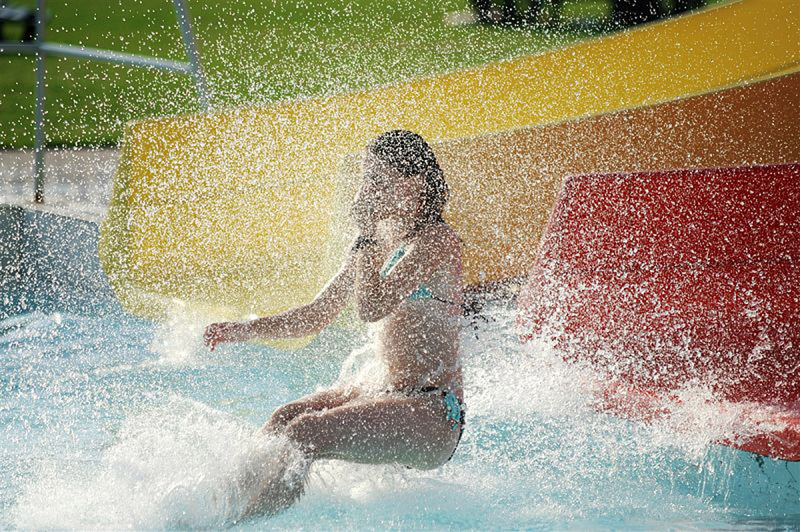 tWater temperatures of 28-38°C from our wells feed 6 different pools year-round, expanding to 11 pools during the summer season. 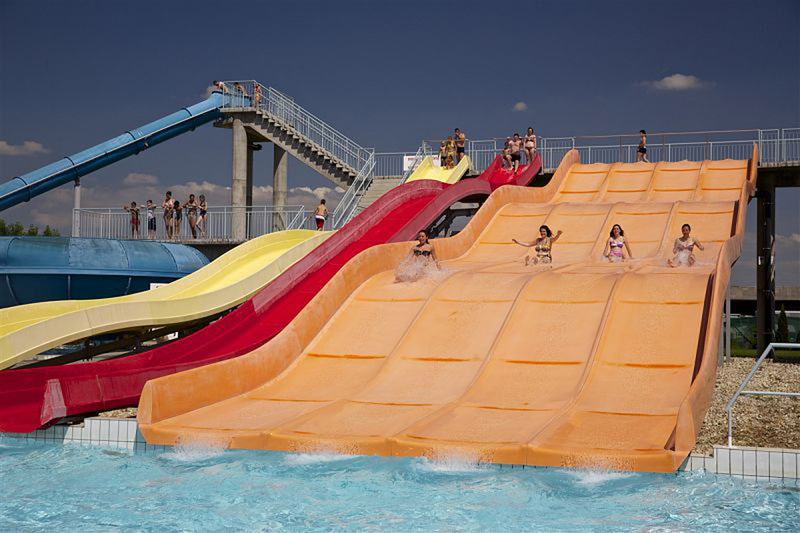 Water park pools are not lacking in the most attractive water features, including toboggans, slides, water jets, water currents, water umbrellas and much more. The relaxation pool with a comfortable temperature of 30˚C to 32˚C covers 173 m² and watch out, the rain may unexpectedly surprise you. 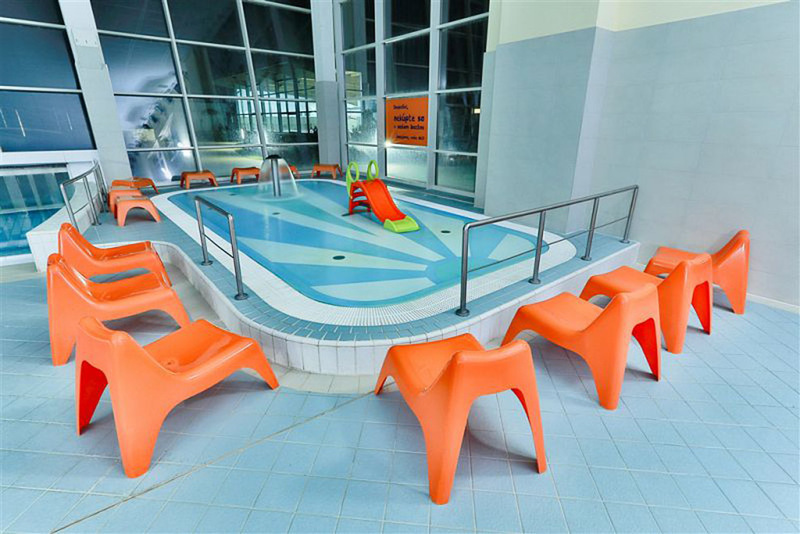 The pool also features massaging benches, whirlpool spouts, water currents and an air geyser. 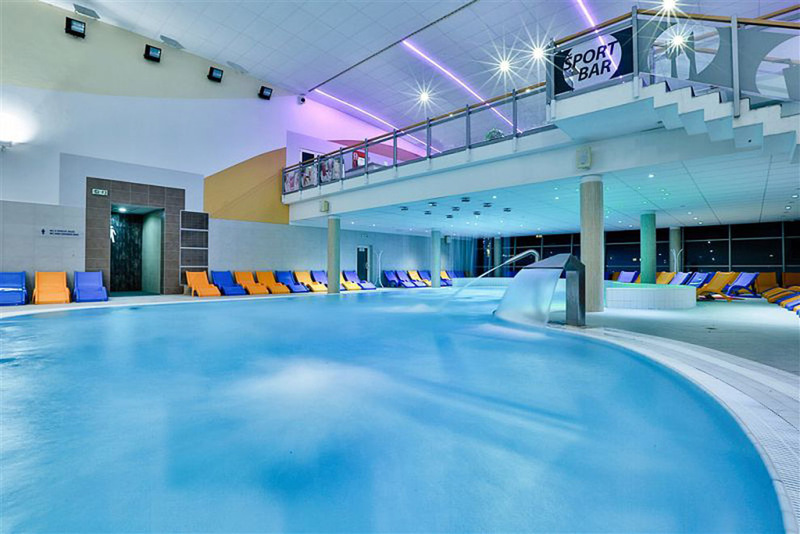 The still pool offers even more comfortable seating with a temperature of 36˚C to 38˚C and covers 88 m². 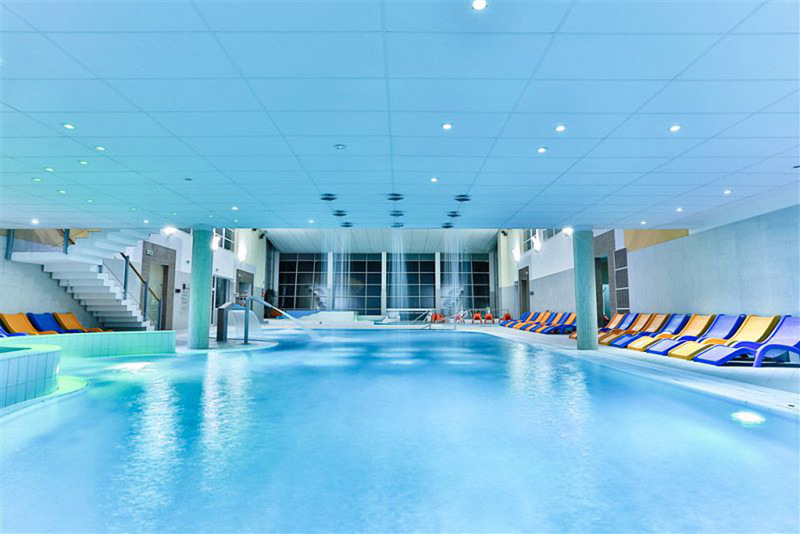 Here you will find hydro massage, massaging benches, water jets and a pearl bath. 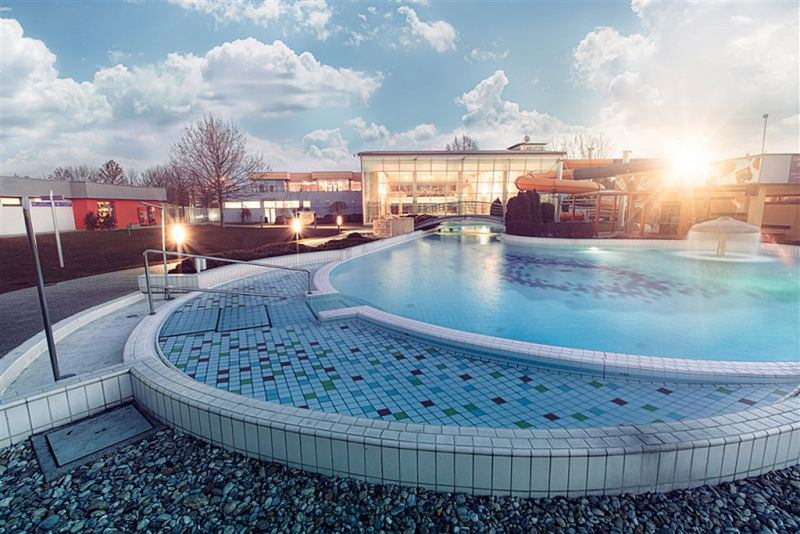 An irregularly-shaped oblong swimming pool with water temperature of 28˚C to 32˚C and covering 376 m² connects the indoor pool hall to the outdoor areas. This pool also has massaging benches, a whirlpool spout, water umbrella, water jets, water currents and an air geyser. The swimming pool allows you to swim directly through the opening in the glazed facade. Our littlest guests are welcome to enjoy the children’s pool with a temperature of 31°C and an area of 23 m². 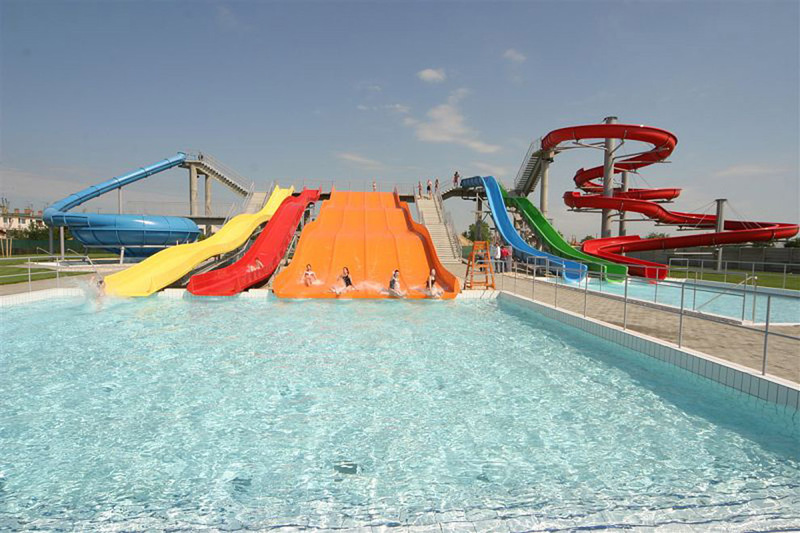 The pool is filled with potable water and children are sure to get a thrill from their own vibrant slide and whirlpool. 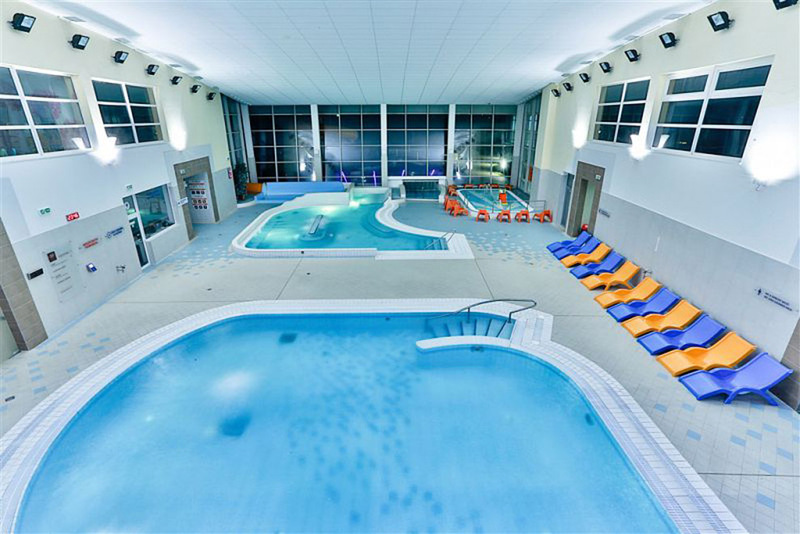 •	Even when the weather doesn’t cooperate, the pool hall is equipped with a 76 m-long orange and blue toboggan with its own splash-down pool for all daredevils to enjoy. 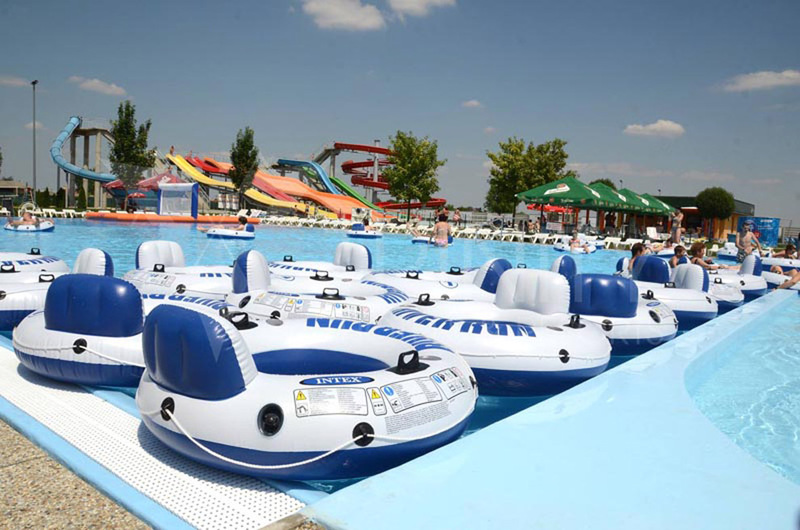 Aquapark Senec has prepared a number of eye-catching attractions for you during the summer season. Fans of ball sports will enjoy the beach volleyball court and our mini football pitch. 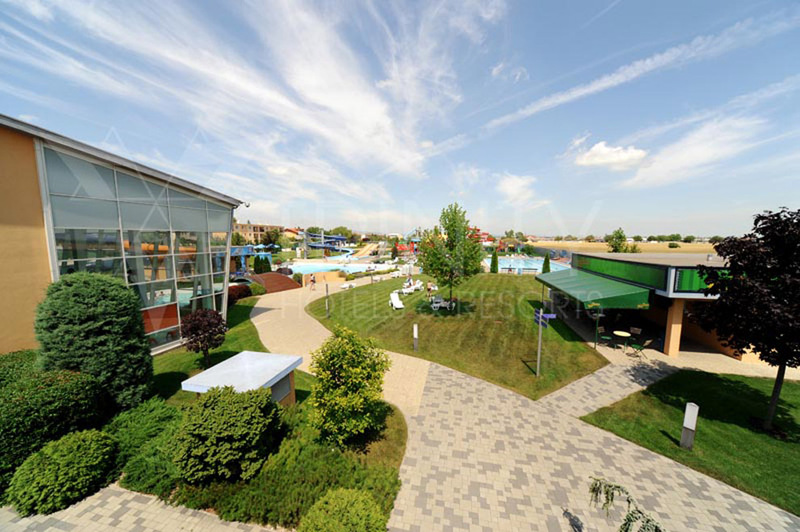 Volleyballs and footballs are available to Aquapark visitors. 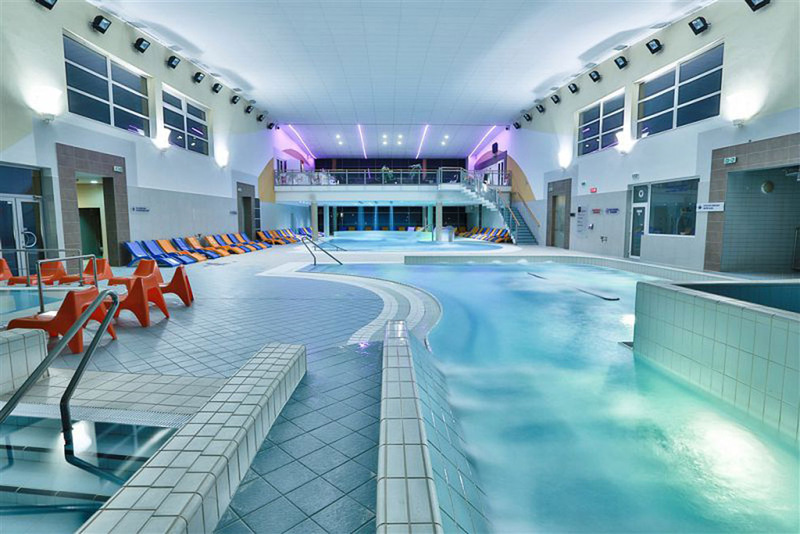 You can purchase Aquapark and Swimarena entrances passes outside of your accommodation package at Aquapark reception.